Harajuku girls in sheer jacket, suspenders, trousers and tassel loafers look. 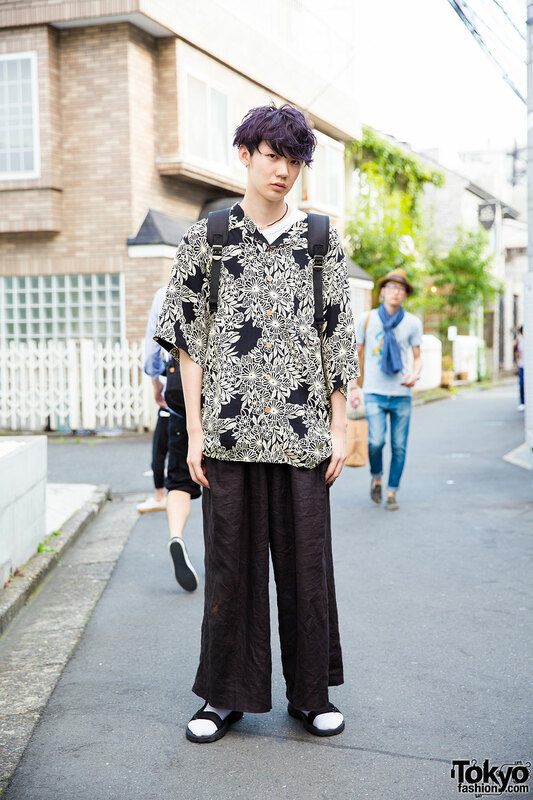 Harajuku guy in resale fashion with white shirt, floral print button down shirt, black wide leg pants and sandals. Harajuku girl in pastel lingerie style with ruffle negligee over white dress, heeled ankle boots, canvas tote bag, plush rucksack, beret and handmade badge. Harajuku girl with twin buns & cap, silk jacket over printed t-shirt, wide jeans, black rucksack and rocking horse shoes. 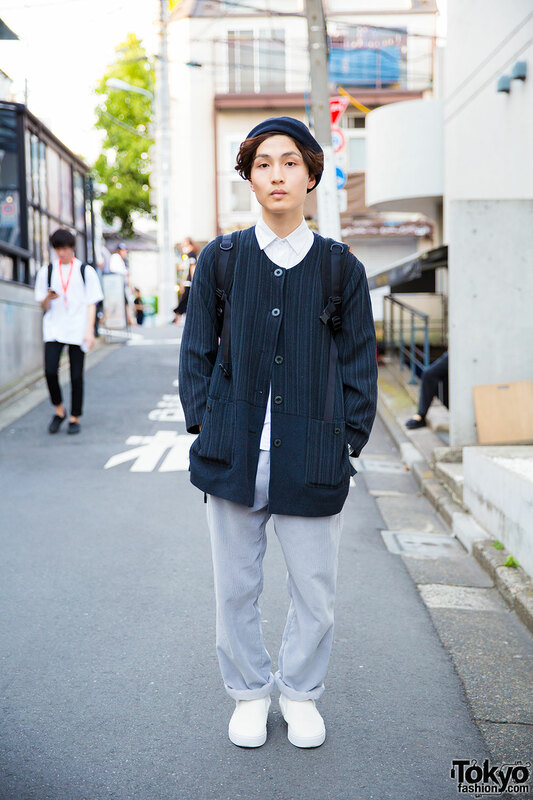 Harajuku guy in beret, coat over white shirt and gray pants, white rucksack and white slip-ons. Harajuku girl in Adidas jacket, oversized hoodie, plaid skirt, panda ear muffs and platform loafers. Harajuku girl with blue & purple hair wearing a black top, midi skirt, rucksack, chokers and studded boots.